Search Engine Placement (SEP) is the quickest way to get in front of customers with a buying intent. Our quick and easy two step process is simple. First we work with you to discuss your needs, goals, and who you’re trying to target in terms of geography or demographic. Then our team builds a search campaign based on connecting you with your customers. From the time we build your campaign to the time you see your ads “up and live” can be as short as a few days. 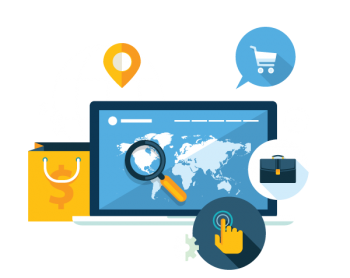 Whether you are selling a product or service, you need a strong web presence to increase revenue. Our Orange County search engine marketing team utilizes our skill, education and experience to fulfill all your growth needs. Does your site lack search engine compatibility and visibility? Struggling to win top positions for your site on Google, Yahoo! or Bing? Is there too much organic competition for you to earn the critical first-page ranking? Is PPC taking too much of your time? Then SEP is the right fit for you. Place your site where your customers are looking. Unsure if SEP is right for you? Click here to learn more.